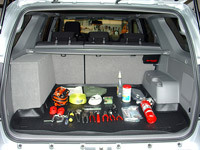 This cargo box is a handmade piece as there is no company that manufacturers a storage compartment quite like this. 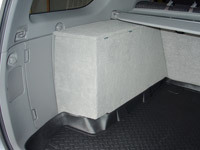 I first made a storage unit of this type 8 years ago for my 1999 3rd Generation 4Runner and that unit can be seen here. The idea here, once again, is a storage unit that does not intrude on the space between the wheelhousings, but can securly hold the essentials I carry around on a daily basis. Additionally it provides a very secure mounting point for a fire extinguisher. This organizer takes advantage of the underutilized space above the rear wheel well. First of all, this time I wanted to design the box so that it did not overlap onto the cargo liner area whatsoever. 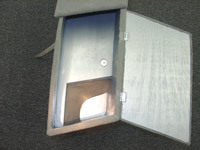 The secure mounting of the box, though not permanent by design, does require some work to remove from the vehicle. I do get the back of the rig quite dirty from time to time and being able to pull the cargo liner, (a must have item), out and quickly rinse it off while washing the rig is essential. I will accomplish this by a) notching the box at the front lower corner allowing the husky liner to sit flush with the interior panels and b) keeping the front of the box short, which has the added benefit of allowing the jack compartment door to open with the box in place. 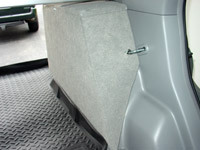 These improvements will allow the cargo liner to slide straight out the back without moving the cargo box at all. Secondly I wanted a more refined professional look to the box. 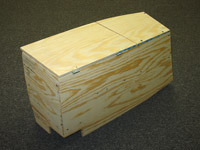 This will be accomplished by a) cutting the box flush to the seat back wall, b) making curved and angled cuts for the top, front and side wall so that they sit tight and are scribed precisely to the interior panels, c) get as close a match to the factory carpeting as possible, and d) painting the interior of the box to get rid of the wooden look. I am not going to provide detailed measurement of each and every one of the boxes panels this time around. There are just too many variables here. Many of the wood pieces need gentle curves which I would not be able to measure. Every brand of cargo liner is slightly different and weather or not you have the double decker option are factors that would come into play. 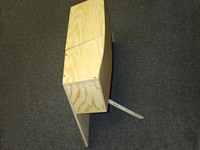 25.0" - The legnth as measured on the inside bottom shelf where the items will lay. 18.0" - Overall height which keeps it just below the tonneau cover. 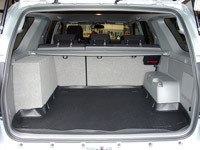 7.0" - The interior width which keeps it outside of the cargo liner. 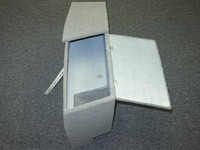 6.5" - The interior height of the box as measured from the top of the wheel well to the top of the box. 12.5" - The interior height of the box as measured from the front portion which is cutout around the gas tank filler tube. I built the original 3rd gen box entirely using a hand saw and making straight cuts only. It worked well with that vehicle with the straight lines of it's cargo area. Clearly that would not work in a 4th gen with it's curved panels. The tools needed for this project include: A jig saw, circular saw, dremel, drill, sliding T-Bevel square, right angle square, steel straight ruler, tape measure, sandpaper, 1" drywall screws and hinges. What I did do as a starting point is to fabricate every panel out of cardboard first. This allows you to create the curves and angles by trial and error and to later simply trace the parts onto the wood. I purchased one full 8'x4' sheet of 15/32" pine plywood. This allows for you to mess up a few panels and start again if needed. I am not a carpenter by any means, but I only had to re-do one panel. 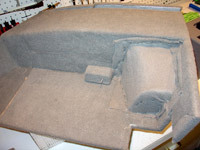 For the driver side panel (the side up against the curved plastic interior) I purchased a 2'x4' sheet of 1/4" medium density fiberboard (MDF). 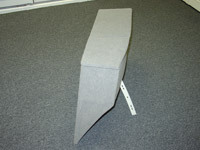 This allows it to bend and conform to the curved cut of the bottom and front panels. 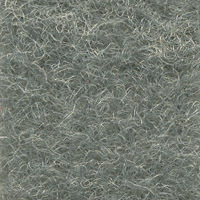 I purchased carpeting manufactured by the Miami Corporation. I choose carpeting from their "Multipile" Automotive Trim Carpet line for it's features as well it's close to factory color match. Their Multipile carpet is an "un-backed" automotive carpet, meaning that it has no rubber latex backing like cut-pile carpets do. This will make it not only easy to cut but also facilitates the carpeting to conform and mold aorund the box's corners nicely. 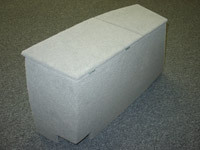 I carpeted all sides of the box, including the bottom and the side facing the interior panel. This is so that the plywood will not rub the plastic interior panels which over time will scuff them and may cause noise. 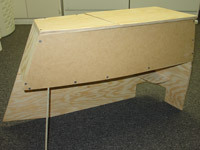 The carpeting is mounted to the plywood using a can of spray type adhesive. I was very satisfied with this adhesive so I am documenting it here to remember to use it next time, 8-10 year later on my next box. I don't remember what type of spray glue I used on my 3rd gen box but I was not happy with it. 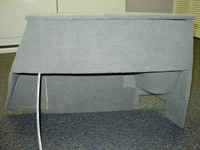 It was messy to use, soaked into the carpeting and let the carpeting slide around too much until it set-up. I went with a heavy duty adhesive this time. It cost a little more and perhaps it was a little overkill as it is strong enough to use on laminates and similar materials, but It was well worth it. You need to spray both surfaces, the carpet backing, then the wood. 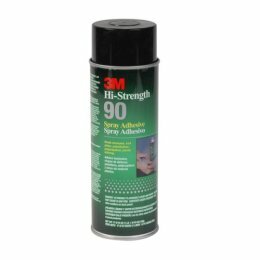 It sprays with a nice consistency and does not run. There is very little overspray. You then wait 30 seconds for it to set-up then press the two materials together. You can work with long pieces of carpeting as once you mount the carpeting it doesnt move around much at all, so get it lined up right the first time. High strength, fast contact type adhesive. Adheres polyethylene and polypropylene to wood, metal, and more. Adheres to wood, metal, plastic and decorative laminates. Low soak in keeps more adhesive on the surface to provide better coverage. Low-mist formula bonds fast with a high-temperature resistance. Variable width spray pattern (1"-3"). Easiest way to apply adhesive to large areas. The organizer is mounted securely in place yet not permanently. No modifications to the interior or drilling of holes are needed to mount. 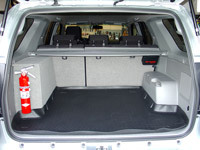 It allows for a decently quick removal for those rare times that maximum cargo area space is needed. 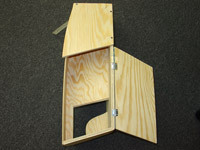 A #10 4" long wood screw and countersunk fender washer is used on the front portion of the box to secure it to a factory threaded screw hole where the grocery bag holder is located. On the rear of the box I installed a small screw eye which is then cable tied to the rear seatback latch. 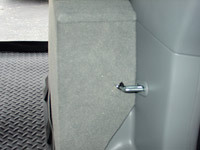 Mount the screw-eye on the passenger side of and slightly above the seatback latch. Then when you tighten down the cable tie, it draws to box nice and snug against the side wall. By positioning the box on the driver side, the box does not block the factory sub-woofer located on the passenger side of the cargo area. By keeping the box's legnth shorter than my 3rd gen box, it remains totally outside of the cargo liner and does not block access to the factory jack storage area either. There is a pic below that shows how much stuff this box can hold. 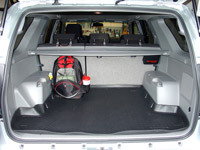 The 4Runner has numerous other storage areas such as the glove box, center console, built in storage above the wheel wells and the jack compartment. I have other supplies stored in these areas as well. 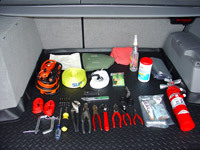 Those areas hold such items as...4D Cell Maglight, road flares, wrenches, bungee cords, work gloves, tire pressure gauge, spare fuses, electrical tape, umbrella, batteries, etc. This Page Last Modified: March 11, 2019. Copyright © 1999 JAS Enterprises, All rights reserved. You are the visitor to this website. Copyright © 1999 J.A., All rights reserved. | Have a comment, question or suggestion?